Posted August 9, 2018 by Cultbox News & filed under Headlines, News. British filmmaker Duncan Jones – who brought us Moon, Source Code, Warcraft and Netflix’s Mute – has announced his first TV project. 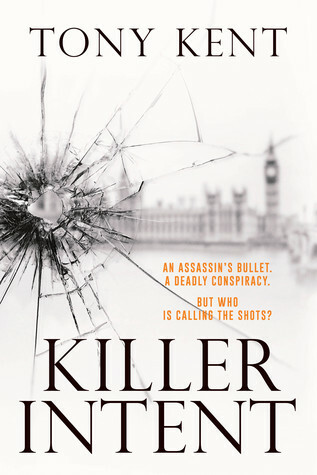 He’ll work with author Tony Kent to adapt the thriller novel Killer Intent. Jones is set to direct and executive produce this series, with Kent working to adapt his own novel – which hit shop shelves in January – into a series of scripts, with help from an American-style writing room of TV talent. Executive producer Stuart Fenegan snapped up the rights to the book before it even came out, and his LA-based independent company Liberty Films will handle the production. “An assassin’s bullet. A deadly conspiracy. But who is calling the shots? “When an attempted assassination sparks a chain reaction of explosive events across London, Britain’s elite security forces seem powerless to stop the chaos threatening to overwhelm the government. “As the dark and deadly conspiracy unfolds, three strangers find their fates entwined: Joe Dempsey, a deadly military intelligence officer; Sarah Truman, a CNN reporter determined to get her headline; and Michael Devlin, a Belfast-born criminal barrister with a secret past. The series doesn’t have a broadcaster attached or a release date confirmed yet, but we’ll keep you posted as we hear more. The fact that a sequel to the book has been announced, entitled Marked For Death, makes us think that this TV series could run for a while. Here’s hoping that this series can be something of a return to form for Jones, whose last couple of films have received very mixed reviews. Moon was incredible, though, so we know that he’s capable of great things.